If you are an Empath you will already know that being in public places can be a traumatizing affair. Simply nipping to the shopping mall can mean you end up ‘wearing’ someone else’s energy for the rest of the day. Which isn’t such a bad thing if the energy is positive and highly charged. But it is mostly the not-so-nice energy that follows you home. On my journey as an Empath, I have found the best way to stay protected, when out in public places, is to either take preëmptive measures before leaving home or use energy balancing techniques as and when needed. As all Empaths are different, what works for one might not work for another. And depending on the circumstances you might need to use different techniques for different situations… or several techniques all at once. There are many forms of psychic attack. For the purpose of this post, I’m referring to the type which is sent from one person to another, through dark thought forms. Most Empaths have experienced psychic attack at some point in their life. Many without realizing what they are actually experiencing. It’s often difficult to discern between the emotions our thoughts create, by pondering a stressful subject, to those we experience through psychic attack, and this is why many Empaths are unaware they are on the receiving end of it. Most people don’t experience the dark thoughts of others, but Empaths do. When another is having undesirable thoughts about them, Many Empaths pick them up. We are in the midst of some challenging times, which are bringing up buried insecurities and hidden issues to the surface within us all. But, instead of facing these issues and taking responsibility, many are projecting their pain onto others in the way of blame. This can be the reason behind psychic attack, as dark thoughts are projected out. Those who stay in a negative mind-set tend to vibrate at a low-frequency. Their energy becomes toxic to the Empath. Because many Empaths find it difficult being around this type of energy, they may need to disconnect or stop spending time with them. This often causes resentments to form in the other. A psychic attack may then ensue. Generally, a psychic attack comes from family members (not necessarily blood-related), friends who are close or once used to be, work colleagues, or those who the Empath has disconnected from. How can you tell when being attacked? When under psychic attack, the tell-tale signs are repetitive negative thought patterns surrounding one person. For example: a certain friend (the one thinking and thus sending bad thoughts) repeatedly pops into the mind, along with negatively charged feelings, throughout the course of the day or days. You may wake up thinking angry thoughts towards this person, when you have had no recent contact with them. But you wrongly assume it is your own issues creating the angry thoughts. When under attack, the one thinking/sending the dark thoughts won’t know you are on the receiving end of them. You probably won’t be the only person the thoughts are directed at, but you may likely be the only one feeling them. What should you do when you sense a psychic attack? If you suspect you are under attack, stop indulging the dark thoughts or emotions you are experiencing, immediately. Which has to be said, is not easy to do. By engaging angry thoughts that don’t belong to you, you become part of the problem. An Empath has the power to project angry thoughts back to the source without realising. But, in doing so, they unintentionally open a two-way psychic battleground. This is when angry thoughts start flying back and forth. It can go on for days. And in these cases, the Empath always comes off worse. You may have noticed your moods are projected onto others. If feeling happy you lift others up. If sad, you see it wash over those in your presence. Even your tiredness, and stumbling over words, is projected to another. More than any other, Empaths have to be cautious of what they project into the world in the way of gloomy, angry or irrational thoughts. What goes out has the tendency to come back amplified. (The positive flipside to this is the return of projecting positive thoughts out into the world). How do we stop engaging dark thoughts? The easiest way to stop negative thoughts, that don’t belong to you, is distract yourself the moment you notice them; especially if they repeatedly go back to the same person. You may have already discovered your own way to do this, but making noise in your head can really help, like singing, humming or chanting, etc. Just like plugging in your ears and singing loudly blocks out external sounds, I’ve found this helps with outside thoughts too. You could also try strenuous exercise or get creative as a way of distraction. How can we protect ourselves from psychic attack? Suppressed emotions, poor diet, lack of exercise, a busy head, illness and emotional pain all contribute to weakening of the aura (energetic body). If you suspect you have been on the receiving end of psychic attack it might be a good time to tune into your IGS and see what changes could be made. By strengthening your body and mind (see here for more) it in turn strengthens your aura and thus helps ward off psychic attack or negative energy. Living in this heavily populated world, Empaths face many challenges. If it’s not having others’ negativities dumped on them, they get drained of vital energy just by spending too much time in public. Learning to set energetic boundaries is, of course, a given for those of a Sensitive nature and many Empaths are hardwired into automatically doing this. However, sometimes life just gets in the way. We all need gentle reminders, from time to time, about what we could be doing to protect ourselves and thus make life more enjoyable. And this is what I hope to present in this guide for the Empath. For Empaths, wanting to block out all external emotions and energies would, no doubt, be a priority. But it is not always that cut and dry. For one thing, she might have already tried every energy-blocking technique known to man, without any success. And then there are the questions: why is it Empaths feel and take on what they do, emotionally, is it not for a purpose? In taking on these negative energies are they not helping rid the world of them? The answer to those question are debatable. But the fact is, all Empaths need to learn to protect themselves from wayward energies, and know how to stay grounded, so they can continue to function in everyday life. When an Empath is alone in people-congested places, they may soak up the highly charged energies no sooner than having stepped over the building’s threshold. Take a Friend: Being with another person acts as a buffer and helps diffuse external energies. This lessens the impact, when spending time in public places. It also serves as a pleasant distraction and takes your mind off what you are feeling. Chances are, after the shopping trip or outing, you may still feel drained but your experience will have been a much more pleasant one. Power Poses: A power pose is generally anything that opens up the body. They can be as simple as opening up one’s arms wide (so your body is in the shape of a cross) and taking long, slow breaths through the nose. Holding a gentle smile is further empowering. If you are familiar with yoga, a Starfish pose (standing with wide legs and arms) is ideal, as is a Warrior pose with open arms. Holding the power pose for a couple of minutes before leaving home, or entering an energy-hostile environment, serves in uplifting and expanding one’s energy field. This is opposed to how an Empath often goes out into the world, wanting to feel small and invisible. Grounding visualizations: These could be anything from visualising roots coming from your feet, grounding you to the earth, to mentally building a halo of white light around your body and expanding it with your breath. Take a couple of minutes to quieten the mind before attempting. Affirmations: Positive mini-declarations repeated in the mind can serve in being uplifting, empowering and protective. Statements such as: ‘I am empowered ‘or ‘I am in control’, instantly, and positively, change your mind-set, and your vibration, and thus make you better equipped to handle excessive energies. Find one that works for you, suitable for the time and place. Music therapy: Taking your music and earphones is a huge help when out and about. Listening to music you love creates an inner-expansion. It uplifts your energy and creates a protective ‘bliss bubble’ around you. This energy expansion enables you to glide through public-places seemingly unaffected. It is best to get into the ‘music zone’ before entering a peopled place. Breath-work: There are many grounding and mind quietening methods available, such as meditation, that need a committed, daily practise to reap the full benefits. However, the breathing methods, included in the post below are meditative techniques and can be done in a hurry or when one is feeling out of sorts. You may need to play around with different breathing techniques to find one which works for you. They can be used before entering or whilst in a busy place. Please see this post for various breathing techniques. If you are one who doesn’t like sleep-snuggling, or having to sleep close to your partner in bed, no matter how much you love them, you are not alone. Having sleeping-space is essential for the Empath. Most Empaths loathe having anyone get in their ‘energy-space’, day or night, but as sleep-time is crucial for recharging, it is even more important they are allowed it. If you share a bed, and it is not possible for you to have your own bedroom, opt for the largest size bed available, if space permits. If you still struggle sleeping near your partner or wake-up feeling drained, use one of the above grounding techniques and adapt them to bedtime mode. Know your food and how it affects you. Listen to what your body is telling you about what is and isn’t right for you. If, for example, you have a nagging feeling that dairy is causing you to have an allergic reaction, you could try the 30 day exclusion challenge, to see if it is. This involves abstaining from all dairy (or whatever you suspect does not agree with you, be it chocolate, tomatoes, alcohol or GMOs) for 30 days. After that time, gradually introduce it back into your diet. If you have a big reaction to it, you know you are intolerant, allergic or energetically incompatible and are best removing it from your diet. Over a period of about 15 years, I’ve tried many eating and exercise plans. I have tried and trained in many holistic therapies and healing, and researched the benefits of nutrients. I always believed that the answers to my healing lay in the metaphysical, and if I made myself more ‘spiritual’ I would find life easier… I hadn’t taken into consideration that it didn’t matter how many hours I sat in meditation or doing yoga, or how many spiritual texts I read, if I was putting poison into my physical body, no amount of meditation or spiritual awareness was going to balance me. Of everything I have tried over the years, holistically, spiritually and energetically, the most profound changes happened to me when I changed my diet! I have written about benefits of changing the diet before (and will do again, and again), but as I consider it to be one of the best things you can do to aid physical healing and spiritual growth, especially for Empaths, I will keep spreading the word. Because they tend to be highly reactive, Empaths react more to drug-like foods than those not of a Sensitive nature. High reactive people taste the bitterness in lemons more than others, feel emotional and physical pain more, go red in the face easier and are affected by certain foods, drugs and alcohol worse than those who are not highly reactive. High reactives are responsive to different vibrations of energy. Everything is energy vibrating at different frequencies and that includes what we eat and drink: the faster the vibration, the higher the frequency. Empaths are negatively affected by anything of a low vibration. Certain foods, drugs and alcohol all have a low vibrational energy and bring the Empath down fast. If you suspect your diet is impacting your health, and Empath ways, and are keen to learn of all the negative ways your diet can impact Empath life click here. It is also wise to take note how your food is prepared. Food made in an angry or unhappy environment will carry that energy and thus show up within you. Most Empaths benefit from having mainly homemade food, so they know exactly what energy goes into their meals. Unfortunately, any kind of stimulant (alcohol, drugs, etc.) only serve in weakening the Empath (as they do any other human). Under the influence, it may feel like external energies are blocked but unfortunately this is not the case. They still seep in and still need to be dealt with. When in company, other people’s emotions may show up in the Empath as aggression or an overly dominant ego on the evening of consumption or as a physical and emotional hangover from hell the day after. If you don’t like the idea of giving up your favourite tipple, or social life, try using grounding techniques before an evening out and drink lots of water throughout the evening. Water has both a cleansing and grounding effect. Also include lots of alkalizing foods in your diet. By keeping your body in a more alkaline state it helps keep Empath balance and prevents alcohol doing as much damage. The longer the Empath has known a friend, the more impact the friend can have on their energy. As you would imagine this could be a good or bad thing, depending on the relationship. Knowing how to navigate your friendships serves in offering healthier and happier relationships. Friends’ energy and how it affects those of a Sensitive nature will change along with their age and life circumstances. If down or depressed, a friend can unintentionally take the Empath down with them. In theses cases one has to learn to emotionally unplug. One can still listen and be there, but in a detached way. Also, be very wary of an unwanted energy drain. We all know people who drain energy, otherwise known as the ‘Energy Vampires’, but when a friend, who isn’t normally a drainer, is experiencing a tough time their energy-sucking tentacles may seek out an instant uplift from anywhere they can get it. (Please see here, here, here for more ways to stay protected). To avoid being a friend’s ‘energy-replacement-meal’, watch for any drain and where it is coming from. It is normally be from one of four of the main energy centres (chakras): sacral (below belly), solar plexus (mid belly), heart (heart area) or throat (front of throat) and it may be felt by a pull or ache in that area. Wherever you feel the drain, cover that area immediately with your hands or arms. It is not by chance that we cross our arms over our stomach or chest in social situations; we are subconsciously stopping an energy-drain. Empaths tend to be very faithful to their friends and keep them in their life for the long-haul. For this reason, it is a good idea to choose friends wisely. For the Empath finding their calling or vocation can be a challenge of epic proportions. Living a lie, through having to pretend they like doing a job which they don’t, or sell a product they do not believe in, is nothing short of torture for the Empath. As eighty percent of the workforce do not enjoy their job, this does not make for an energy-efficient or happy working environment (another obstacle for the Empath). If you listen, your Internal Guidance System will continuously present you with vocational options, perhaps as interests or passions. 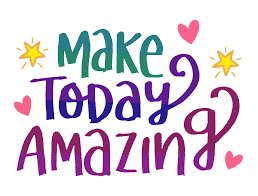 What would you wake up excited to do each day? What can you not live without doing? What interest keeps coming back to you? If you could change the world for the better, how would you do it? Roadblocks are what stop you going down your desired or chosen route in life. They can be seen through sickness, redundancy, depression, loss of money and social status or non-starting projects. They can unexpectedly pop up out of nowhere, take you off your current journey and bring your life to a standstill or send you off in a new direction. When encountering roadblocks it may seem like they are purely an unfair punishment, but this comes down to your perspective. They are normally presented as a detour and a way to make changes to your life’s journey when refusing to listen to your IGS. This detour may involve a long and winding scenic-route, which also happens to be an uncomfortable, seemingly never-ending, bumpy road. But again, this is down to your perspective. You have a choice: you can get wrapped up in the inconvenience and discomfort of the long ‘scenic-route’, focusing only on that, or you can concentrate on the ever-changing landscape as it passes and be grateful for being given a chance to change. Everything presented to us in life is a gift, even roadblocks, and are something to learn and grow from… if only you allow yourselves to see it. Exercise is essential to an Empath’s wellbeing. It works both the physical and energetic bodies, and helps clear stagnant or negative energy. Sadly, we live in a society that promotes a ‘no-pain-no-gain’ philosophy towards exercise and a focus on sculpting the muscles instead of healing the body and mind. Exercise should be fun and liberating, not torturous or painful (unless you enjoy that ). There are many ways to exercise and it doesn’t have to be costly or complicated. It can be as simple as turning on some funky music and shaking your hips around the kitchen. Dancing when no one is watching is unbelievably uplifting and you get to make your own moves with the beat of the music. Running or walking in nature, freestyle dance, where there are no rules, or one of the many forms of yoga, are some of the best forms of exercise for the Empath. These could be done alone at home, and there is no need for a gym membership. Swimming in the sea, or a lake, would also be great, if you’re fortunate enough to have one nearby. A gym-class is not always the best environment for the Empath, especially if it has a very ego-driven or body-conscious atmosphere and adorned by lots of mirrors. Some Empaths pick up negative residual energy left on mirrors. If there have been many insecure, or body conscious, people gazing into gym-mirrors (or mirrors in clothes shops, etc.) an Empath may feel the lingering energy of these insecurities and take them on as their own. For the Empath, relationships often prove to be a complicated area of life. But also very rewarding when they find a compatible mate (who very likely won’t be an Empath but may still be sensitive). Empaths are a greatly misunderstood bunch. If they seem aloof or disconnected (after suffering Empath overwhelm) it may take a while for their detachment, and need for time alone, not to be taken personally by a prospective partner. When one is romantically connected to another, it can make the energetic connection complicated. Reading someone, who holds no emotional ties, comes quite easily for the Empath. However, when there is a strong emotional bind it can distort one’s ability to read energies clearly. This can lead to confusion and frustration, especially in the early building, days of a relationship and even further down the road. Not everyone is as inclined to be as honest as an Empath; especially if they have grown-up or worked in an environment where lying is ‘quietly’ seen as acceptable (it is surprising how often this is the case). This is a huge bugbear for the Empath because they feel the energy of a lie, but not always what the lie is. In some cases, this leads to paranoia which in turn leads to ungrounded accusations and arguments. 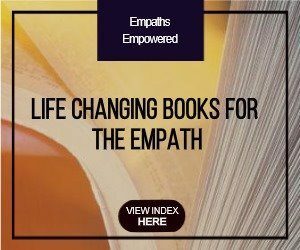 A whole book could be dedicated to the relationship highs and lows of an Empath and how to handle every situation (see The Empath Awakening for more on Empath relationships). But in brief, it’s safe to say that the best way to be in any relationship is honest (unless the truth will cause unnecessary pain) and never be afraid to show your True-Self. It’s always good to remember that every relationship, no matter how brief, offers valuable lessons. Even toxic relationships, filled with strife and arguments, can show areas of life that need to be worked on or improved. Allowing yourself to step from your comfort zone, on a daily basis, allows for growth in all areas of your life. It enables you to face your fears and, in facing them, it gives you a greater capacity to deal with any negative emotions you meet. Stepping from the comfort zone can be done by going further than you would like during exercise, by making a phone-call you’ve been putting off for months, by telling someone you love them, or anything that makes you squirm but which you know you should do. Thoughts can be destructive to your health and wellbeing, especially when they are negative and repetitive. Empaths tend to spend a lot of time in their heads, which is great when thoughts are creative, happy or enlightening. But spend too much time around certain people, or places, and those happy thoughts can quickly turn into painful memories, anger or notions of being wronged or unfairly treated by another. You may not realise those irrational thoughts, that are on a perpetual time-loop, were ignited by being around certain others, as they don’t always kick in till a day or two after exposure. So, how do you stop them? It’s not easy but it can be done. The best techniques involves externalising your awareness or by distracting the mind. Externalising Awareness: One of the best ways to get out of the head is to focus your awareness outside of yourself, using a meditative technique called mindfulness. This can be done almost anywhere and involves focusing on something outside of your mind. You could gaze at a flickering candle or pay close attention to your scenery as you pass it by (obviously not to be done whilst driving). If you like walking in nature look up at the trees and notice all you can about the bark, branches and leaves, see the different cloud formations in the sky or inspect the wild flowers growing within the foliage. Thought Distraction: When your thoughts are on negative-overdrive, doing activities which allow you to indulge them is not advisable. You need to distract yourself. One of the quickest ways to do this is by stepping out of your comfort zone. If you practise yoga do a pose you find challenging or which requires stamina or concentration, such as the Plank, Warrior, Tree or Crow. Do some on the spot exercise: march, jog, star jumps, twist jumps, etc. Just be wary of injury before doing any on the spot exercise. When your muscles, or joints, are cold they are not as pliable and are more prone to injury. Start slowly and build up the intensity. As we are all here on our own journey with learning experiences unique to us, not all the tips and advice offered here will be helpful to everyone. But until you try them for yourself you will not know what works or what doesn’t. As an Empath, you may have come into life purely to gain experience of feeling others’ emotions. And because of this, it is important to remember that just because one Sensitive has learnt how to deal with external energies and you haven’t, even after trying every technique in the book, doesn’t mean you’re doing something wrong or being punished. It may simply mean you have not yet achieved a certain lesson from a certain experience. It could also be that you are capable of enduring more hardships in life and your mountains are higher and harder to climb than most and in turn you will be learning more. Do you want to transform your Empath life in the most amazing way and enjoy complete emotional freedom? If the answer is yes, then this book is for You. Click here for more information. If you are an Empath, chances are you will carry many introvert tendencies, even if you consider yourself to be extrovert. The fact is introversion is something that tends to go hand-in-hand with life as a Sensitive. Even if one started life exhibiting more extrovert ways, the way the world makes an Empath ‘feel’ can trigger or build introvert tendencies such as: a regular need for solitude, not enjoying spending time around people, experiencing social anxiety when around crowds, etc. Being an introvert in this extrovert-driven world can bring many challenges and hurdles to overcome. So much so, it can leave many Empaths completely out of place and lost. It’s as though they’ve been dumped into a reality that is not a fit, and one has to live a lie just to show up in society. However, when you come to accept and understand ‘your ways’ and the unique ways of being an introvert Empath, life not only makes more sense but you recognise it’s ok to be who you are. You no longer feel you have to change your behaviour in order to ‘fit in’. If you are looking for simple ways to transform your life as an Empath or just ways to stay in control of how you feel, click here or on the image opposite. Today, I decided I was going to write more about life as an Empath. It wasn’t until after I wrote about an Empath’s traits that I remembered downloading an article on the subject a good while ago. I’m not even sure if, back then, I looked at it, but when I read it earlier I felt as though it had been written specifically for me (read it here). It felt good to know someone else felt what I did. When I didn’t know I was an Empath, I couldn’t understand why I felt all that I did. I know there must be hundreds of thousands of people struggling with the same ‘condition’, unaware that the bewildering, emotional ups and downs, they deal with on a daily basis, are not always their own feelings. They are picking up other people’s pain. And I want to help with this. I want to help others understand that it is completely possible to feel another’s pain, even a stranger’s, as if their own. If you don’t already know, an Empath is someone who is hyper-sensitive to many things, but mainly to the emotions of others. They can pick up the feelings of another and take them on. An Empath can be perfectly happy and relaxed one minute, then enter a public place and within seconds feel anger, sadness or anxiety… emotions that are coming from others. If unaware they are Empathic, they may believe the cause of these feelings is a phobia of public places, a dislike of shopping, or even people. Many Empaths become reclusive because it’s easier to stay away from the external stimuli than to deal with the bombardment of negative emotions they feel when in public. Being an Empath is not something I tend to share openly with others. In the past I tried telling close friends about who I was or what I felt, but I just ended up feeling frustrated with their inability to grasp the concept. But that doesn’t mean I cannot share what I experience on here. Those who need the information will hopefully stumble across it. When someone has not experienced something first-hand, it is difficult for them to understand it. And, as Empaths are not generally subject to discussion in common society, we may be seen as being a bit bonkers when we talk about what we feel, as opposed to having a very valid ability. This can make Empath life somewhat isolating. Another reason I don’t tend to tell others of my abilities is because I don’t want them feeling uncomfortable around me. I’m sure they wouldn’t want to know that I know when what they’re saying is not what they are truly feeling or thinking. So, sometimes staying quiet is the best option. Everyone who is an Empath has different empathic abilities. The two most common being: Picking up on others’ emotions and feeling the energy of places. For example: you may walk into a crowded room and sense a heavy tension, even though everyone looked happy (this is experiencing collective emotion). Or when entering a friend’s new house, which was old, but new to them, you feel a negative vibe, as if something bad has happened there (This is often residual energy. If the house was filled with arguments and angst the energy stays there. Likewise, when walking into a house that has been filled with happiness and love, to an Empath it can feel like the Sun is shining indoors). Another unusual place Empaths experience weird feelings is on social media: I once fell into the trap of being a Facebook addict. It took me a while to understand why I always came away from a browsing session feeling flat, especially after reading posts by a people declaring their happiness and fabulous lifestyles. Then I saw it, it was the inauthenticity affecting me. As Empaths we feel fakery. When someone is stating how wonderful life is, when it’s quite the opposite, we feel that as an inauthentic vibe. Spend too long on social media outlets and it often becomes overwhelming. The more in tune we become as Empaths the more we see the world for what it is. Reading newspapers becomes a challenge, especially the ones packed with lies, gossip and no real news. The TV can become unbearable, in particular any kind of programmes with violence or cruelty. Even watching reality-singing-shows are heart-wrenching. Seeing the judges quash the dreams of young hopefuls (whose main ambition in life is to feel special) and humiliate them, in the name of entertainment, is hideous. There are many other ways in which Empaths find everyday life a challenge, which I intend to write more about in future posts. But if you are not sure if you could be classed as an Empath, here’s a list of 30 traits that can help you decide. So if you’d like to find out more about being an Empath click the follow button on the sidebar.